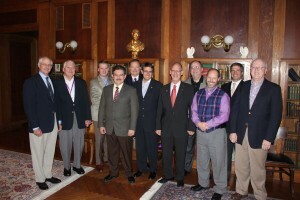 Activities and publications of the Society are governed by the Board of Directors of the Scottish Rite Research Society. Illustrious William Jules Mollere, 33°, Past SGIG in Louisiana and Emeritus Member of the Supreme Council, 33°, SJ USA, laid down his working tools on November 9, 2018. Born March 8, 1946, Bro. Mollere was a Past Master of Trinity Union Lodge No. 372, Baton Rouge, and the 2015 Grand Master of the Grand Lodge of Louisiana, Free & Accepted Masons. He was also the 1993–1994 Grand Master of the Order of DeMolay and the 2012 Right Eminent Grand Commander of the Grand Commandery of Knights Templar of Louisiana. 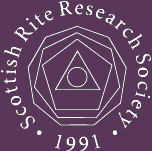 He was the president of the Scottish Rite Research Society at his passing. We cherish his memory in our hearts and commend his soul to God who gave it. James T. Tresner II, PhD, 33°, G.·.C.·.